So what am I doing here? 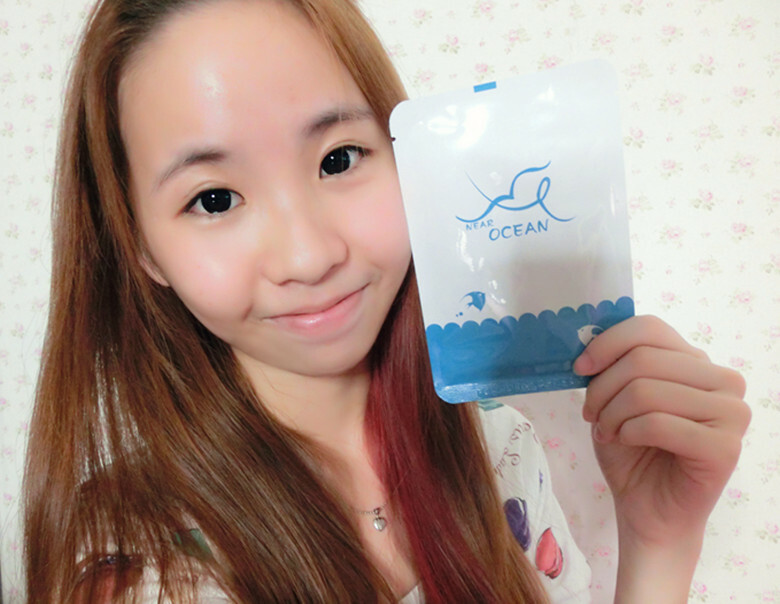 Today, I'm gonna share with you guys a taiwan mask which I updated the status on facebook few days ago.Surprisingly ,this mask works on me♥♥. Few months ago, I get to know about this mask which imported from taiwan. At first I thought it was just a normal mask for me and you guys know that I'm always crazy about all beauty stuff. I willing to give them a try so I get tried on 4 type of mask within this 2 months. Before I start you need to know that this mask might or might not works for you but it works for me. Diff skin type may have diff kind of result or outcome. My face is a combination skin type and this mask have various type which suitable for a big range of diff skin type. Before purchase I would like you to get in touch with them and ask them to recommended the most suitable type of mask for you. They are participant in IBE beauty fair 2013♥♥ in KLCC from 18-21 May 2013. For those who interested you can have a look on their booth during the period. Stop crapping around I think it's time to talk about the mask!! I just can't wait for it. So basically why I'm in love with this mask is because the price is REASONABLE , CHEAP , NICE , most important it works on me & I'm satisfied with the result♥. As you noticed that I actually bought some expensive mask previously but I think this mask can be compete with those expensive marks in the market. I never heard of this brand until I personally tried them. Who say cheap and reasonable things never work on us? I say YES, SOMETIME IT WORKS♥♥! Previously I always think that cheap mask will spoiled my face la and I never have the brave to try it on lah. this lah that lah. Especially those pasar malam RM2 per piece mask or those china marks. That's really so scary because last time I bought few piece and once I open it -.- ALL water inside the pack I can't feel anything on my face! Luckily my face got nothing happen! I swear I wont simply try cheap thing again after that time!!! Now I'm happy that I tried this out. It changed my mind ♥ :) I tried on it and I personally love the left one on the photo below the most. I used it 2 hours before I sleep / after I bath. I put it all over my face for almost 30 mins then use the remaining to put on my neck. After that I thought it was so normal then I just massage my face. The absorption of the mask is on average speed but after I take off the mask my face feel DAMN TIGHT! I'm so surprise of it because I never thought that a mask with this kind of price can compete with my exp type of mask. I get those mask from 台湾热卖面膜-Ocean沙貨網 & I mentioned that I love the lst one the most then the hydrating mask on the right is my 2nd favourite mask currently. Normally I can't feel if I used the hydrating type of mask but after I used this mask until the next morning I wake up , when I touch my face....IT'S SO SMOOTH!! I can't believe that because I tried those beauty dairy & the next day I can't feel anything. The result just temporary but THIS WONT! Then my stupid naked face was act like " please give me more pleaseeee♥♥!!" I personally think that having a good skin condition and taking care of it is girl's job. Make up can make you look more pretty but don't tell me that you never remove your make up. Sometime ,my skin will turns bad too. The only way I turns it back to a good condition is keep give 'food' to my skin! FOOD= MASK! So here's all the mask I get for myself!! HAPPY GIRL RIGHT NOW. I'm going to use twice a week. No more , no less! Except the two I mentioned previously, they still have many diff kind of beauty product you can check it out on their pages but now I'm going to remove my blackhead using their BLACK MASK♥♥! Before applying any mask remember to clip your front hair or tie it up!! Let's start! Before using the black mask you need to apply your toner on a cotton then put it on your face for 5 mins. After that slowly remove it and apply the black mask on specific area you want. I put it on my forehead , nose area & the bottom part of my mouth. Squeeze it out and apply on the area you want it to be. Then wait almost 15 mins to let it dry. MUST ALL = DRY only can tear the mask off ya! 3.) Calendar balancing mask -For Oily skin, oil control can regulate the acidic level of our skin,and reduce the pimples. Promotion valid from 11st until 21st May 2013 only! 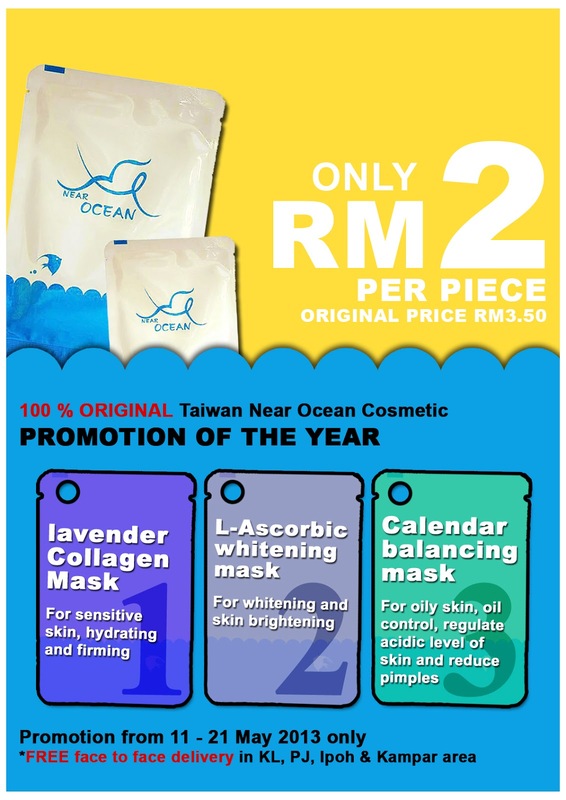 You can either purchase online from them like I do Or come and visit their booth and grab your ocean masks and products in KLCC IBE beauty fair on 18-21 May!!! Their booth number is 2006, TAIWAN NEAR OCEAN COSMETIC♥.